Globalization, Growth and Sustainability focuses on the implications of both regional and global trade liberalization and complementary macroeconomics policy reforms on growth, equity, and sustainability. The volume is organized into three sections: Part One addresses the issue of economic growth with a special reference to less developed economies; Part Two examines the pros and cons of the regional economic integration movement for the countries either participating in, or outside of, the regional groups; Part Three focuses on the issues of equity and sustainability. 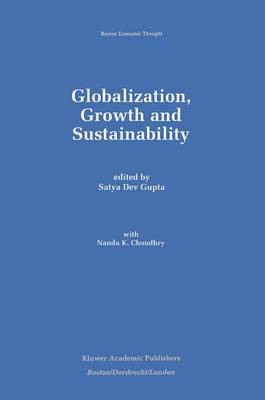 Globalization, Growth and Sustainability will provide valuable insights and important background analysis for scholars working in the field of globalization, as well as senior undergraduate and graduate students in a variety of curricula, including economics, development studies, and international studies.